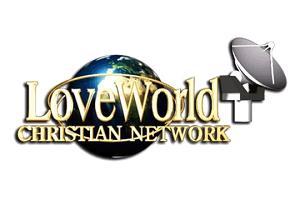 Religious TV Channel / Chris Oyakhilome is a Nigerian Christian minister who is the founding president of Believers' Loveworld Incorporated, also known as Christ Embassy, a Bible-based Christian ministry headquartered in Lagos. His ministry runs several arms including the Healing School, Rhapsody of Realities, LoveWorld Books, and an NGO called the Innercity Missions for Children as well as three Christian television channels: LoveWorld TV, LoveWorld SAT and LoveWorld Plus. Oyakhilome's television programs feature what are claimed to be faith healings and miracles, in large meetings which his ministry organises in several countries, with gatherings of over 2.5 million people in a single night's event. In 2015, Oyakhilome was given an honorary doctorate from Ambrose Alli University, and Benson Idahosa University.